OPTIONALLY ADD a High-Flow downpipe (use drop down menu above). 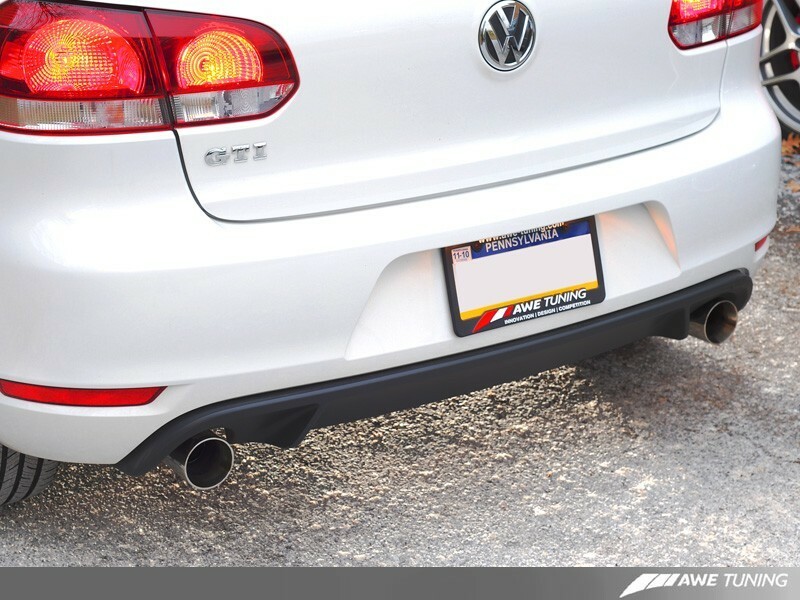 The downpipe features an integrated resonator to keep the exhaust sound volume civilized even with the elimination of the very restrictive factory converters. 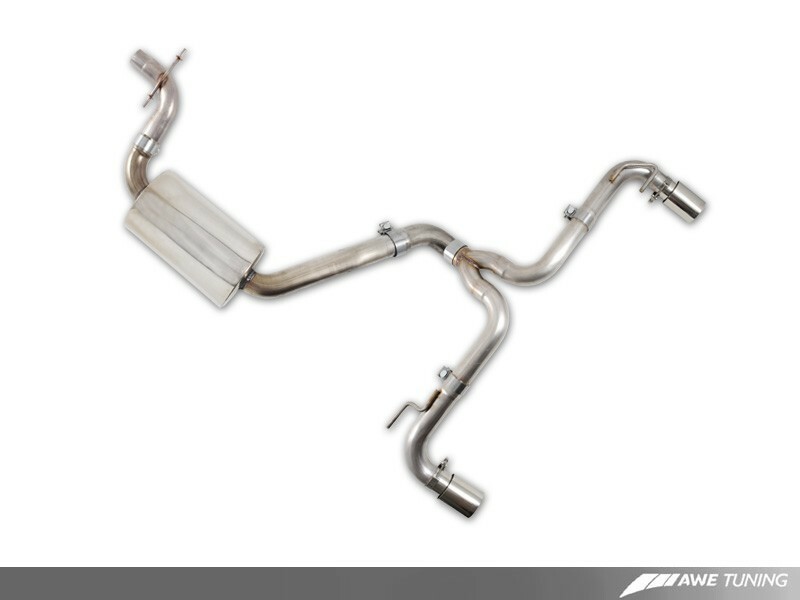 Our downpipe is the first performance downpipe to be released that will not trigger a Check Engine Light on the latest CBFA engine code TSI 2.0T cars. 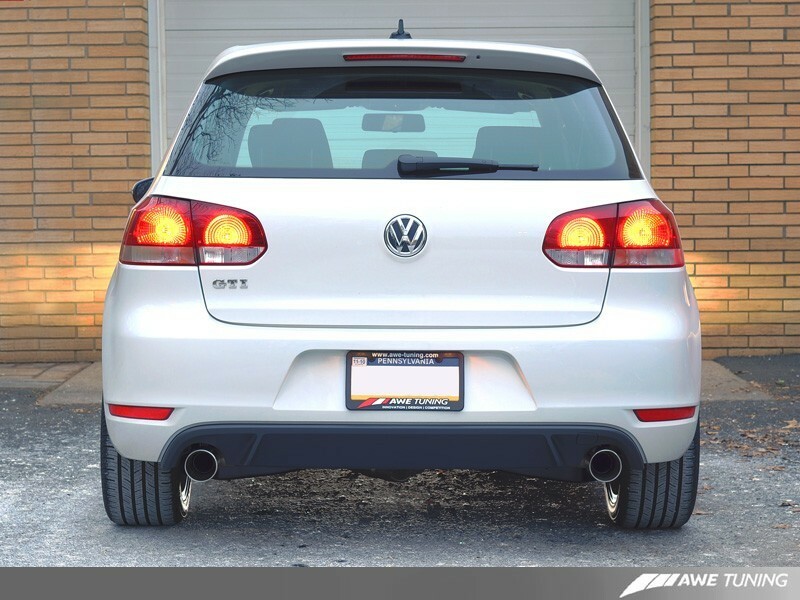 The catback system is topped off with 3.5" Round Tips. Tip options are available in Polished Silver or a luscious Diamond Black finish. The tips sport laser etched A.W.E. Tuning logos and are double walled to ensure a mirror polish even under hard usage. The system has multiple slip joints with high quality stainless band clamps, to allow optimal adjustment. 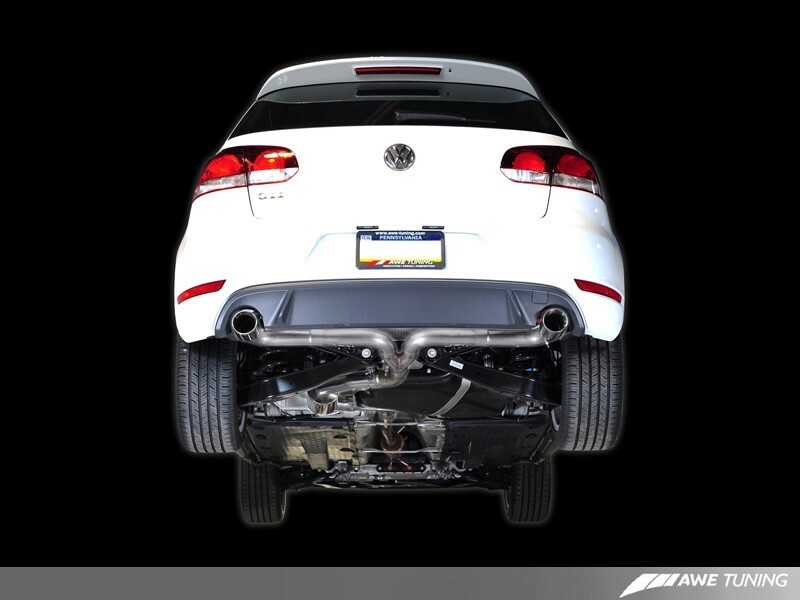 Why did we choose 2.5 inch and not 3.0 inch diameter for our MK6 exhaust? Our first 2.0T exhaust prototypes were indeed 3.0 inch, but we found that the effort it took to move the large mass of air in the 3.0 inch system at lower rpms resulted in a loss of torque with very little offsetting gain up top. 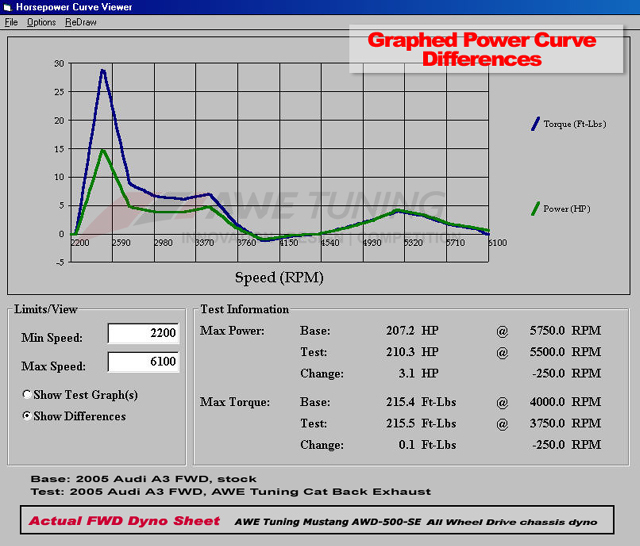 Take a look at our 3.0 inch prototype dyno sheets here and see why a 3.0 inch system is not appropriate for this car. Please note that due to the use of high flow catalytic converters, our downpipe section is legal only for racing vehicles which may never be used upon a highway.